Of Port Elgin, peacefully at Grey Bruce Health Services, Southampton on Tuesday, February 5, 2019, in his 85th year, with his family by his side. Cherished father of sons Steve (Laurie) Beange and Larry (Sandi) Beange of Port Elgin. Loving grandfather to Jason Beange (Kelsey), Tony Opie, Michelle (Jason) Carson, Tyler (Ashley) Beange and Tanner Beange (Olivia). Great grandfather to Chad and Josie Carson. Jim is survived by brothers Chester (Shirley) Beange of Ice Lake, Manitoulin Island and Blake (Gwen) Beange of Nipigon and by dear sister-in-law Jean Brodie of Melbourne. He will be greatly missed by his many nieces and nephews. Predeceased by his loving wife and best friend, Molly (Marion) Beange and his parents Jim and Annie Beange. Jim was involved in many community groups, with mention, The Lake Huron Fishing Club where he volunteered and participated for many years. A celebration of life will be hosted at the Port Elgin Legion, Branch 340 on February 23, 2019 from 1:00 – 4:00 pm. A private family interment will be held at Sanctuary Park Cemetery, Port Elgin at a later date. 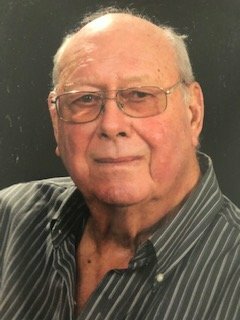 In lieu of flowers, memorial donations to the Lake Huron Fishing Club or the Saugeen Memorial Hospital Foundation can be made in Jim’s memory either on-line at the respective websites or by cheque at the celebration of Jim’s life. Online condolences may be made at www.greybrucecremation.com.